Winner of the Palme d’Or at the 1997 Cannes Film Festival and celebrated as the critical rival of his own 1994 film THROUGH THE OLIVE TREES, Abbas Kiarostami’s TASTE OF CHERRY follows a middle-aged, middle class man—possibly cut from the same cloth as Kiarostami himself—quietly resolved to some desperate purpose. As he criss-crosses the rural outskirts of Tehran in his expensive SUV, the man gives lifts to a series of strangers—a Kurdish soldier, an Afghani seminarian, a Turkish taxidermist—and then offers each a considerable sum of money if they will assist him in his terrible task. Each person he picks up has moral or ethical objections to his plight, and each symbolizes a discrete, key section of Iranian society. 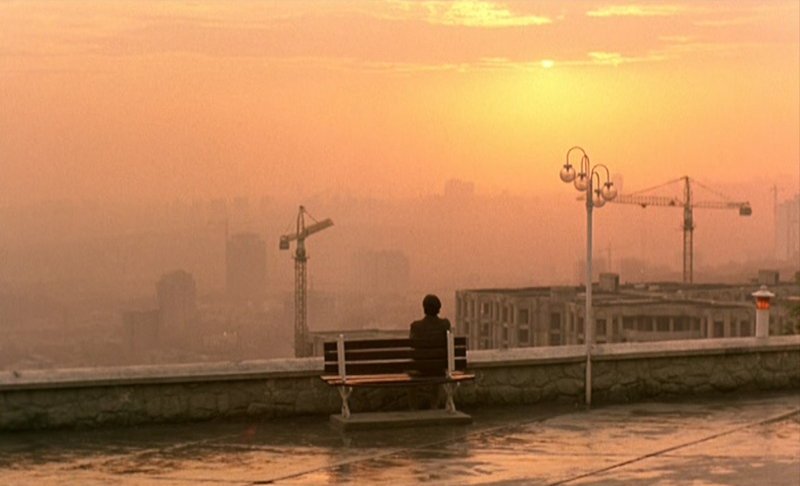 Kiarostami’s celebrated poetic humanism is evidenced throughout the film; his noted formalism—unique blurring of fact and fiction, documentary and drama—for which he is so well known, is here held in check until the film’s last, enigmatic finale. “TASTE OF CHERRY actually says a great deal about what it was like to be alive in the 1990s, and despite its somber theme, this masterpiece has a startling epilogue that radiates with wonder and euphoria.”—Jonathan Rosenbaum.